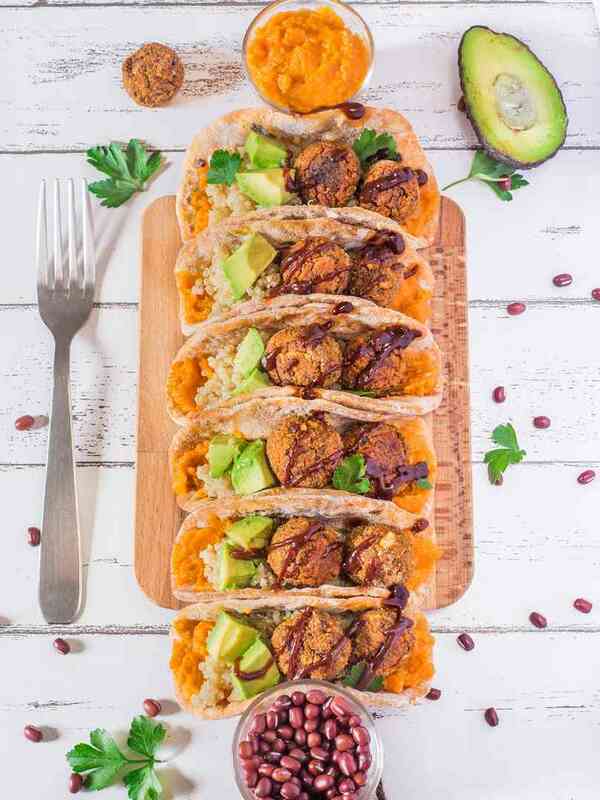 These Easy Vegan Tacos are easy to make, delicious, oil-free and perfect for a quick lunch or dinner. Yum! 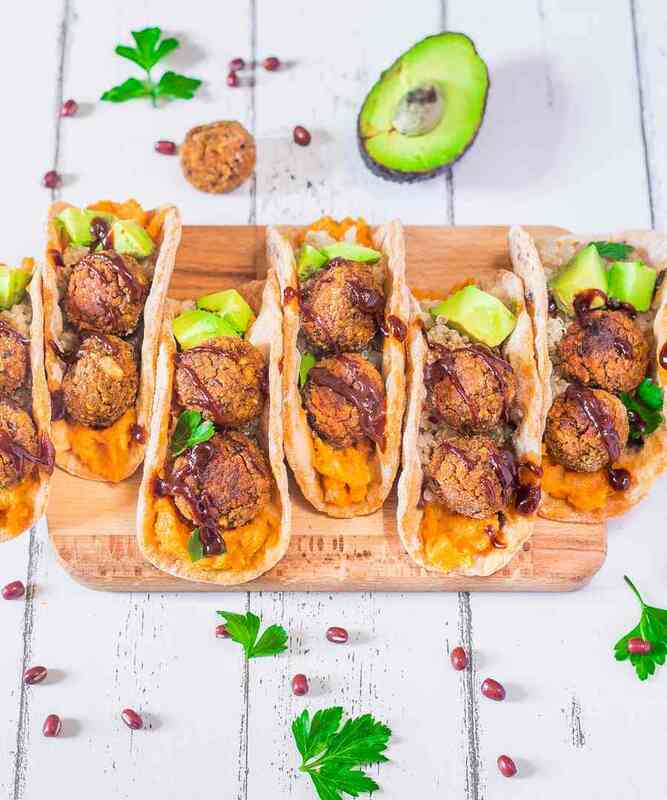 Today I am excited to share one of my current favorite recipes with you – homemade vegan tacos filled with oil-free and delicious falafels! 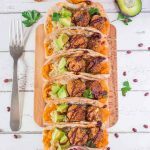 These tacos have become one of our go-to weekend meals so I hope you will give this recipe a try! Since I came up with my Vegan Sweet Potato Tortilla recipe, we have been eating these tacos quite often and I’m very happy about it. If you are used to buying industrial tortillas because you don’t want to spend hours in the kitchen making them yourself, then I highly recommend you to try this recipe. It is hopefully going to make you change your mind because of how quick and easy it is to make. Indeed, these 2-ingredient tortillas only take 15 minutes to make. 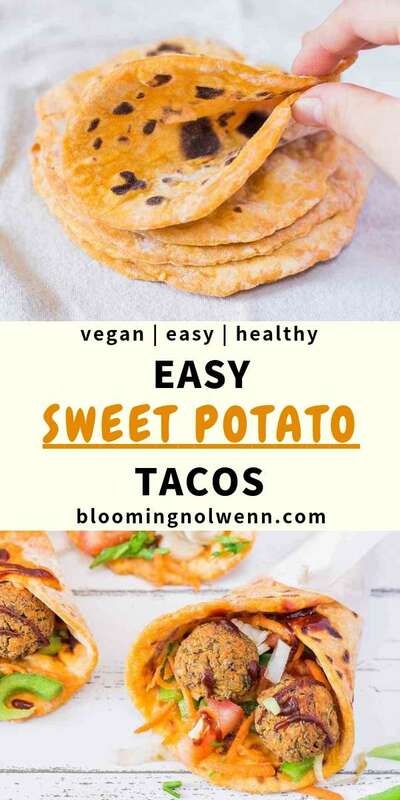 They are made with just sweet potato and all-purpose flour and are a lot healthier than store-bought tortillas that often contain a lot of unnecessary ingredients such as oil and preservatives. And, of course, they taste just as good, if not better! I LOVE making my own falafels because I get to put the exact ingredients I want. 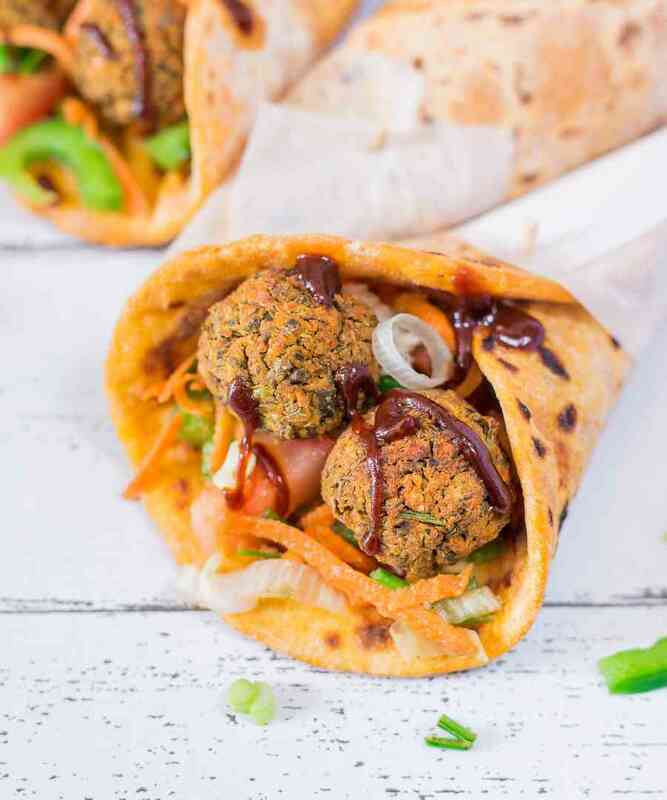 The ones I made with my Baked Falafel Salad are quite spicy and are made with mostly quinoa and kidney beans, whereas those ones taste more summery thanks to the fresh parsley and the shredded carrots. 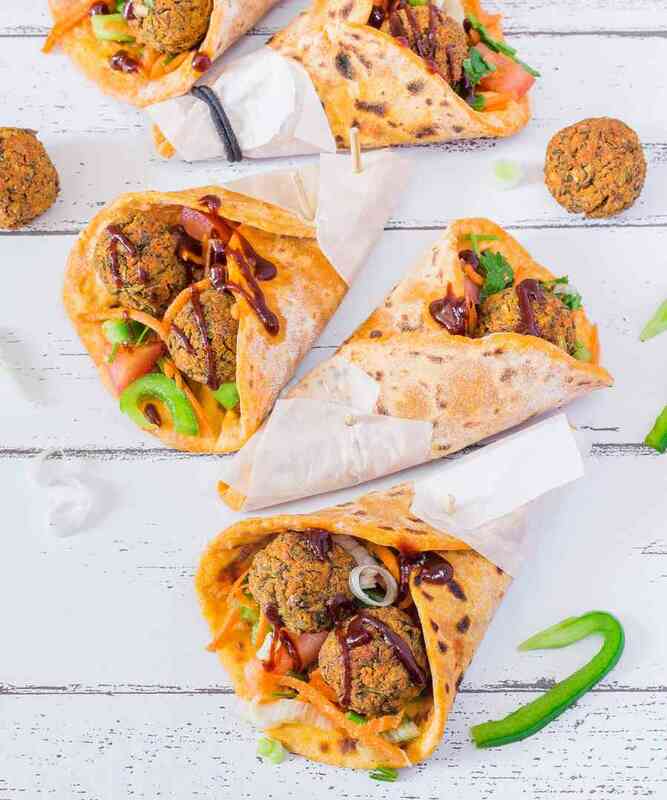 Contrary to store-bought falafels that are often quite dry even though they contain a lot of oil, those falafels are oil-free and not too dry. They are slightly crispy on the outside and soft on the outside. Yum! Without doubt our favorite dinner recipe! 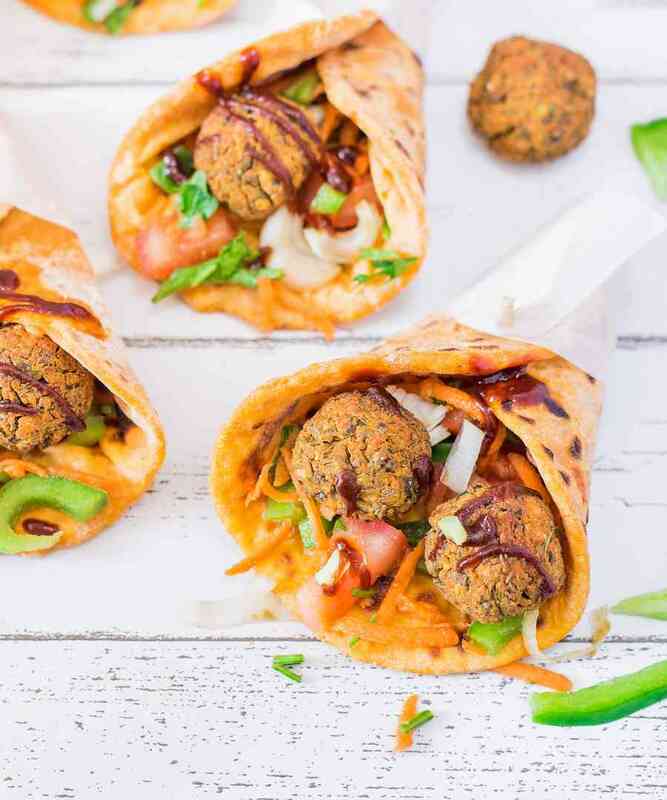 These Vegan Taco Pockets with Falafels are easy to make and delicious. They are very healthy and perfect for a quick lunch or dinner. Prepare the tortillas as per the instructions in my Vegan Sweet Potato Tortillas recipe. To make the falafels, start by boiling the lentils for 20 minutes or until soft. Rinse under cold water and drain thoroughly. Then, place all the ingredients in a high-speed blender or food processor and blend/pulse to combine, scraping down sides as needed. Stop when you obtain a dough with some texture left. Taste and adjust seasonings if needed. Line a baking tray with parchment paper. Using your hands, form 14 medium-sized balls and place them on the baking tray. Cook at 390°F or 200°C for 30 minutes or until golden brown and crispy. Fill the tacos with the vegetables and the falafels. Enjoy!